We pride ourselves in going the extra mile for our customers and our testimonials here on our website speak for themselves. We realise that sometimes it’s not always that easy to drop you car off with us and get it back at a time that’s suitable for you so we are offering a new service to take the hassle away. Providing you are within a 5 mile radius of us we will pick up your car for its Service, MOT or Repair Work and will bring it back to you once the work is complete! We like to pick up and return your car within our working hours but and will try our best to accommodate your needs. Let us carry out a full service on your vehicle and we will wash and vac it for free! 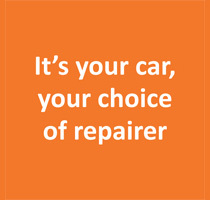 We will carry out a half price MOT with every full service. The recommended Industry list price for an MOT is £54.85 but with a full service you will only pay £27, that’s a saving of £27.85!